MESA, AZ LetzRoll Offroad Racing is proud to announce their new partnership with Jimmy’s 4×4 for the 2015 Racing season. 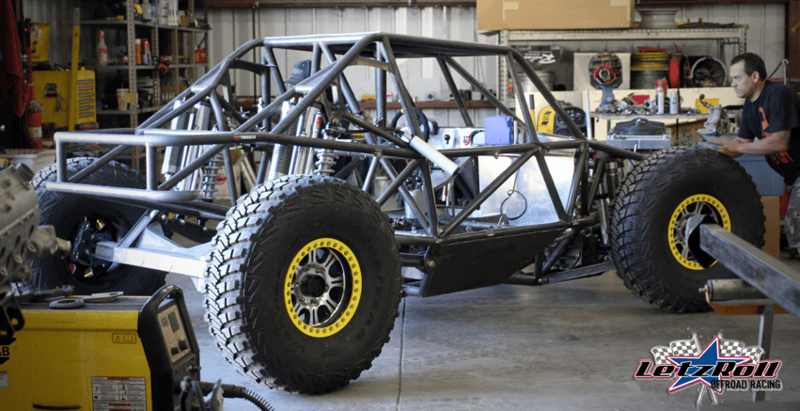 The 2015 chassis for the ESAB Welding & Cutting / Yukon Gear and Axle #4493 is an Independent Front Suspension design and represents the next step in the LetzRoll Offroad Racing program. Building upon the success of the 2014 season (Top 10 King of the Hammers, Top 10 National Points, Top 5 West points), witnessing the growing success of IFS cars in Ultra4 competition, plus the team expansion in to Baja racing, Andrew knew it was time to elevate the game. When it comes to a proven IFS chassis in the Ultra4 racing world, there was really only one choice: Jimmy’s 4×4. In addition to racing a Jimmy’s chassis, LetzRoll Offroad is now an authorized dealer for Jimmy’s 4×4. Led by Cotton and Randy Rodd, Jimmy’s 4×4 pride themselves on honesty and integrity. They strive to make their customers visions a reality. 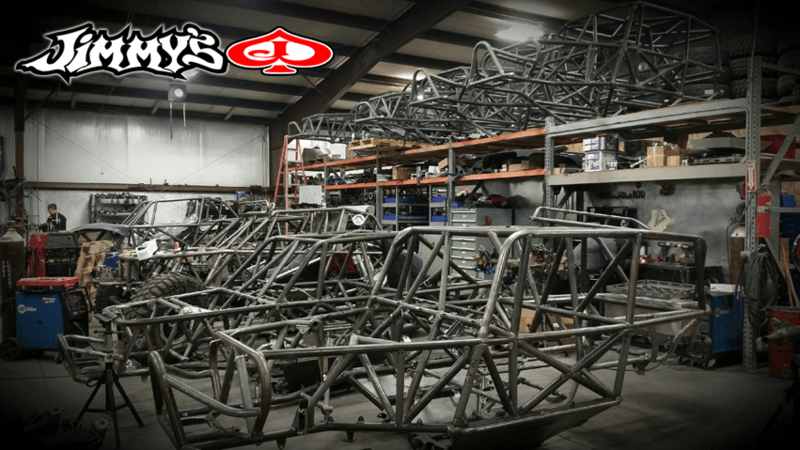 Passionate about building the worlds most extreme off road vehicles, the Jimmy’s 4×4 shop has a rich and successful history with Ultra4 Racing, building many of the premier chassis in the sports and bringing home multiple championships and Kings with Jimmy’s builds. “Jimmy’s, the leaders in Off Road Racketeering, is extremely proud to expand its army by adding Andrew McLaughlin and the ‘LetzRoll Mulisha’ to the ranks of its Ultra 4 Army.” said Randy Rodd. 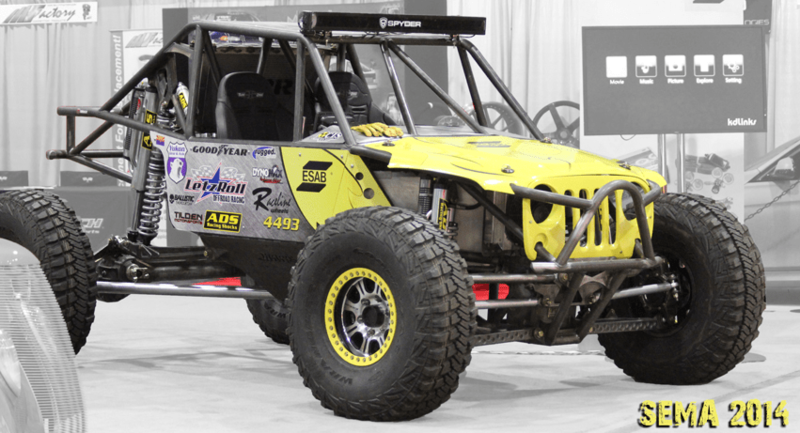 LetzRoll Offroad racing is based in Mesa, Arizona and fields cars in 3 Ultra4 classes – all Top 10 KOH finishers in 2014. LetzRoll UK competes in the Unlimited class in Europe with team driver and 3 time Top 10 King of the Valley’s finisher Mike Robertson in the ESAB UK / Allisport #17. The 2015 racing season is highlighted by the Ultra4 King of the Hammers, the NORRA 1000, the Mint 400, the Ultra4 Europe King of the Valleys, and the SCORE Baja 1000. LetzRoll Offroad Racing will also be competing in Dirt Riot, Ultra4 Regional races, and Best In the Desert.